Wow, it’s Friday already! It’s been a busy week on the sales front. It’s also been a busy week in the music tech front for me. I have several projects I’m bouncing between that are taking up a lot of my spare time but I am so lucky to be in a position now where I can stay up a few extra hours working and it doesn’t effect my day life. One thing has been on my mind lately (I swear I’m not hinting to anything I’m working on! 😉 ) is web quests! I was talking to a teacher the other day about PLNs and came up with an idea. I have so many teachers who tell me how afraid they are of being online and building a PLN or they just don’t know where to start. So what I’ve done is created a simple web quest to get started with your online professional community! Challenge: Pick one post and respond to it, jump into the conversation! Challenge- Find 5 music educators on the list and follow them! Start off slow if you are new to Twitter, the more people you follow the more confusing it would be at first! 4.) You ready for the easiest part of this whole thing? Look to the left of your new Twitter account to find that box that reads “Compose New Tweet” that’s where you actually Tweet! Think of something positive that happened today in your classroom and Tweet it to the world. Never mention a student’s name! It’s safer to keep their identity a secret. 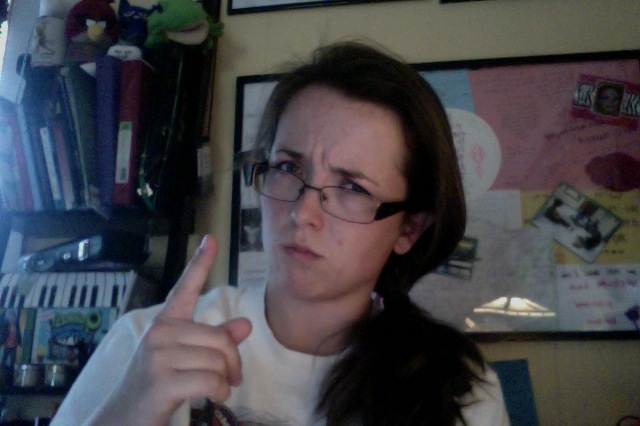 Never post imagines of student’s faces without permission. I never posted faces. If I had a great picture of students that I want to share, I always sent it to my school district’s webmaster. She always had permission to share. I never wanted to risk it. NEVER POST ANGRY. Are you pissed about your day? Get away from the computer and go for a walk. Make sure you turn off your phone too. Don’t make a bad mistake. Always Tweet like your Administration is watching..because..well..they probably are! Make friends! If you are following someone else’s feed and see something cool. Always respond! You’ll never build a PLN with a one sided conversation unless you’re like One Direction or somebody like that.. 5.) There are hundreds of Hashtags out there. These begin with a # symbol and when you send out a tweet with that tag all of the other people following the hashtag will be able to see it. This is a great way to ask questions on Twitter and get answers quickly, you can also make new friends. Challenge- Tweet something using the hashtag #musedchat . Watch the conversations roll. Bonus Challenge- On Mondays at 8pm eastern #musedchat turns into a giant conversation with music educators from all around the globe following the same tag at the same time for an hour! Use a website like www.tweetchat.com to follow the conversation and try to jump in! This you’re ready to take on the challenge of connecting with your peers from around the globe? It’s time to get started! So I have offered to use my lunch time for an hour or so a week to volunteer at a local preschool to teach them music. I’m very excited to have a little time to still teach. I can build my own lessons, I won’t have any paper work to do, and I can just focus on having fun and teaching fundamental music skills to the adorable little guys. The greatest part of all of this is that it won’t take away from my day job, if anything it will enhance it. As I set time aside to prepare some resources to bring in, I remember what I discovered teaching PreK a few years ago (YES, I actually have experience teaching PreK!) keeping them moving, but keep it simple. Chants are fantastic especially to help with those who are working on their speech, and lots and lots of story telling! I still have a lot to learn about PreK, but I’m excited to take a little time out of my busy schedule each week to be able to explore more. Quaver Resources- Now Quaver is a K-6 resource and curriculum (soon to be K-8) but this doesn’t mean I can’t take some of the easy materials and use them with PreK classes to start introducing the concepts they’ll actually be learning in Kindergarten, I just used my teacher way of thinking and took a look at what was there and planned for PreK minds instead of Kindergarten. 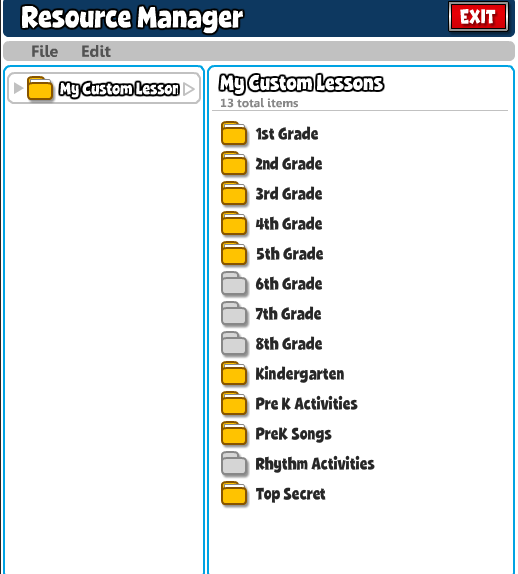 I created two folders in my Resource Manager and labeled them PreK Activities and PreK Songs and added a lot of ClassPlay songs, movement activities, and interactive material that I’ll be using with the students to enhance my short little lessons. They won’t take up my whole class, just add a level of engagement and fun to the lesson. Pinterest- Click Here to Visit my PreK Pinterest board I started this to gain some fun activities to bring to teach the students about music. Nothing huge, just new movement activities, games, and fun things to make to amp up the learning. Reply in the comment section of this post if you would like to be added as a contributor to this board! Greg and Steve- a duo that sings perfect movement songs for little students. Hap Palmer- His songs are simple, fun, and interactive. I used several of his pieces each year and they were begged for again and again. 101 Children Songs- A playlist I found at a book clearance sale. 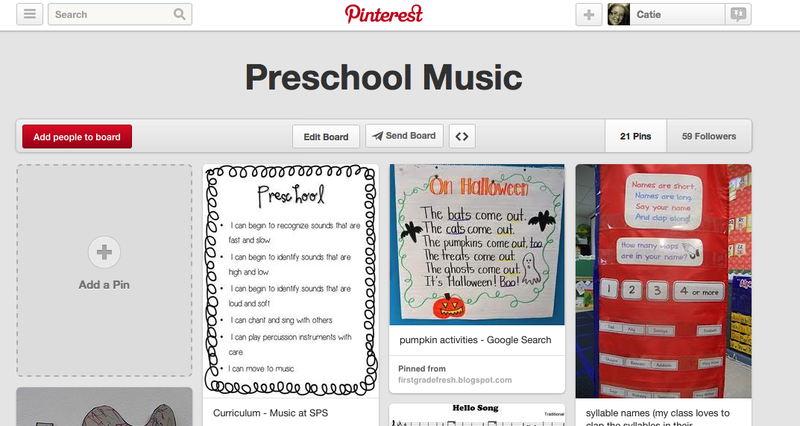 This playlist holds many folk and recognizable teaching songs for PreK-Kindergarten. 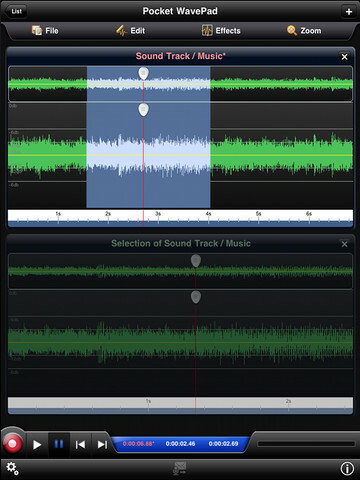 Pocket Wavepad (Free)- A great and easy to use recording app. 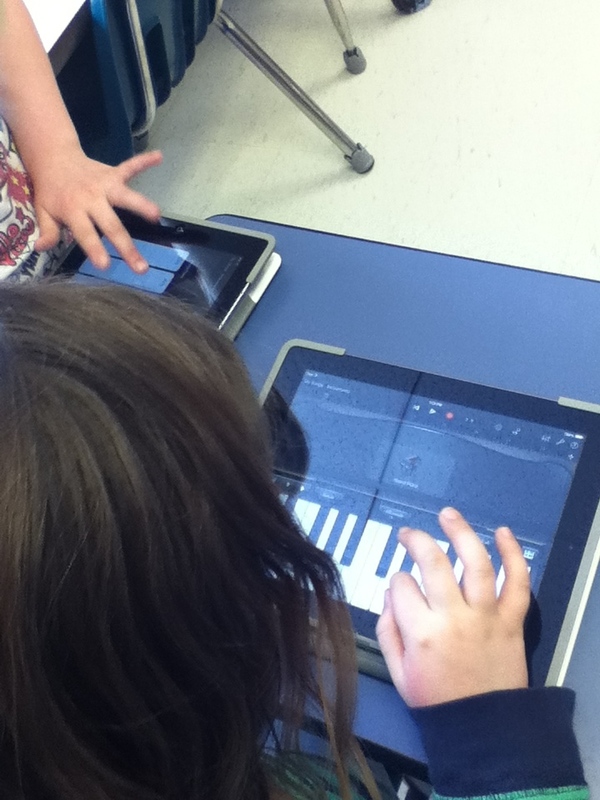 It is always so easy to get this app open and record the students singing so they can her themselves later, or you can send home to parents or even give to the Class Teacher. Freeze Dance ( .99)- It takes any song on your iPod and turns it into a game of freeze dance. You set the parameters and the app starts and stops the song for you. This eliminates the students trying to see you pressing a button because even you don’t know when it’s going to stop. More CowBell ( Free)- Who DOESN’T need more cowbell? So easy to keep the beat! Virtuoso ( Free)- I know I won’t have access to a piano where I am, if I need a pitch there it is. Hand Drums ( .99)- Another great way to keep the beat or even introduce the students to what the percussion instruments sound like. What resources do you have for your PreK classes, I’d love to have some more! I know up here in New England its the first few weeks of school and everybody has their nose to the preverbal grindstone getting organized and settled. This was the usual time I would be working on setting routines and expectations, and getting my tech tools ready for the new school year. Since I’m not back in the classroom this year, I thought I’d share some of the resources and tools I would use from day one of the school year to day one hundred and eighty. Pinterest Boards- During the summer I would fill my boards with hundreds of new ideas I collected. I would make sure I tried at least 5 new things off my boards each year whether it be a new class management strategy or a new game. I posted some of my favorite things on these three boards. Musedmot- Throughout the year this year I plan on having small PD events through Musedmot that will get people chatting, talking shop, and having a great time together while learning new things. 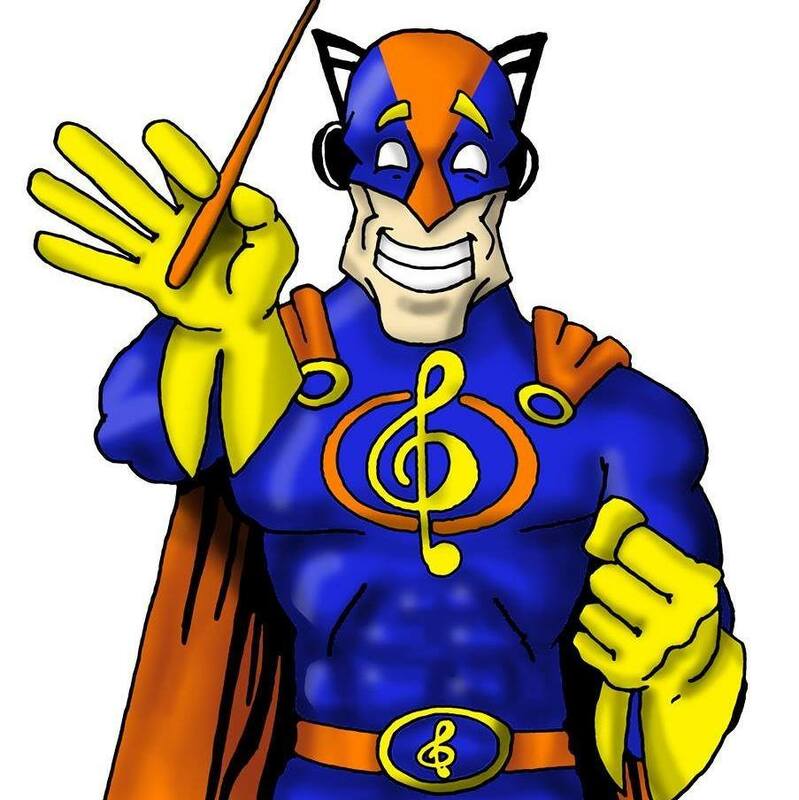 Keep your eye out on the Musedmot Twitter and FB for more information on events coming soon. How is the beginning of your school year going? I’d love to hear from you! Its been a very short week in my new world. Lots of things have come but luckily I come out with a smile on my face. When weeks like this come up, my brain starts churning and really cool ideas start to bubble up. The winner among it all is a new project taking up my work bench, if I can make this work (let me rephrase, WHEN I get this to work,) I hope to have an artistic and engineering masterpiece. A working freehanded 3D printed model of a keyboard! 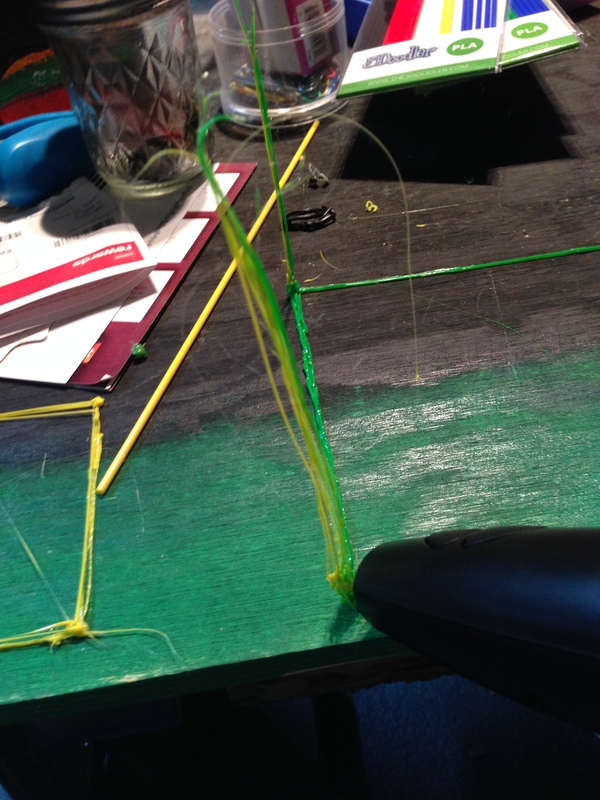 I’ve been trying for a long while to figure out how else to integrate this 3D Doodler Pen that I acquired a few weeks ago into a more musical setting, what better way to do so than print an instrument? 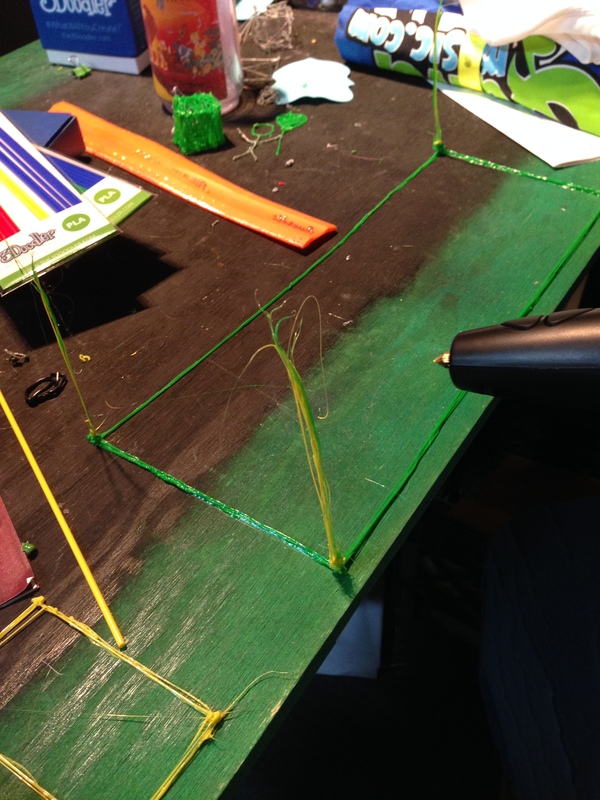 I’m integrating STEM and the Arts seamlessly into one giant project that will hopefully impress when finished. I’ve drawn up my plans, I hope to make this 14 X 6 not sure of the exact height yet but will know more when I create the inner workings. What I have planned is to freehand the actual parts of the keyboard using my Pen and that way it is mostly drawn and formed plastic, the only piece that will not be plastic is the spring system I am designing in order for the keys to snap back into place like a real keyboard when played. Did I mention this keyboard will be functional? Using my Makey Makey kit, the Alligator clips will be wired to the keys and will have aluminum foil pieces attached to the base, so when the clip touches the foil, the piano sounds will come to life! When it all comes together, it should be a 5 key working keyboard. 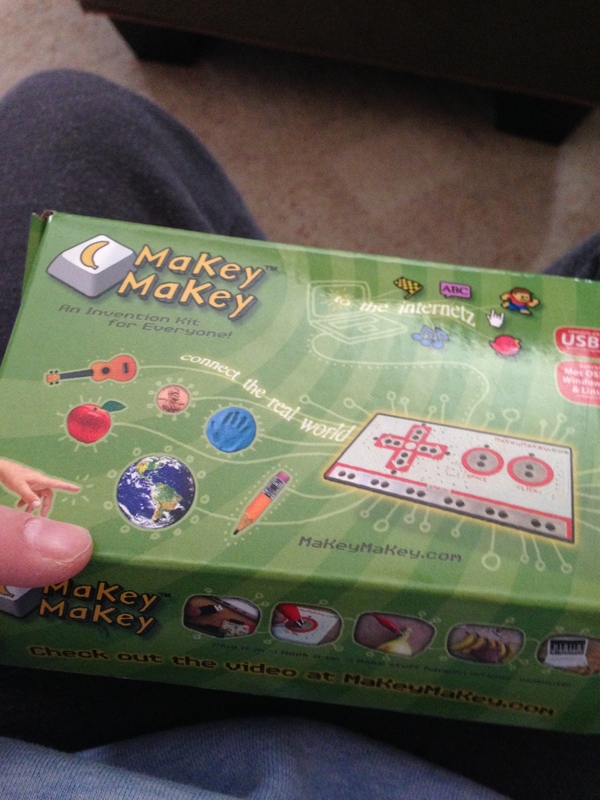 I might even go a step further and try to use Scratch to program my own sounds, but we’ll see about that! That’s all I have right now on my equipment list. I don’t think I’ll be using any more. Trying to keep it as simple as possible! This project will integrate:Science, Technology, Engineering, Art, Music, and Math into one amazing project. I’ll post pics along the way, the more feedback I get on this, the more I’ll consider creating a project workbook and assessment for actual classroom use. So pass this along and let me know if I should put some time into those pieces. Right now the base is hardening and I am starting work on the keys. Next step is to complete the 3D form of the keyboard and finish the keys! What do you think of my crazy idea? Would this be a possible class project you would try?